Everyone has their own problems. Whether is it work, personal, finance or relationship. Anything can bring up problems. Lately I've been really sick with my current job. Came along big sis and second sis. Brothers and sisters all are fine. All walking along side by side but not them. Fuss fuss fuss! Working freelance is surely another path for me to choose but what should I do? I can't do freelance for life. I need something that will keep me going. Something like an on-going business. Working as an employee really ain't easy. Not to say easy. I just hate to be an employee. I need my own stuff. I need to be my own leader. I want to have something to hold on to. Something that will give me endless supply of income. Something that I can have for the rest of my life. Something I call my own. Just a short post. Will update on what's happening next weekend. Happiness comes in a lot of ways. It only depends on how you see it. Happiness can comes in tiny little things like...eating chocolates. Happiness cannot be counted, happiness is to feel and to be felt. When you don't feel happy, ask yourself why. Do little things to cheer yourself up. Life is short, so never risk your happiness away. Last Sunday was baby Elicia's birthday. 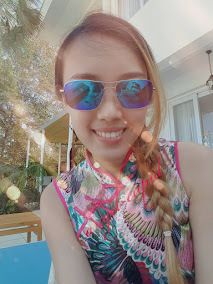 We celebrated her birthday at the Thai restaurant below Lok Thian. I forgot the name. Hehe =) The food there was ok lah. I don't really like Thai food though. Grandma and the kids all sing Happy Birthday song for baby Elicia. She was using a hair wig. Haha! Cute leh!!! Cake cutting! All were looking at the camera except baby Elicia who is looking at her mummy and also her bro who is obviously looking at the cake. Haha! Grandma feed Elicia. Yum yum! That's Elicia and her eldest sis, Elina. Just some gifts to show. They're all from my baby's sis which is also my taukenio. She's very nice towards me when it comes to gift. 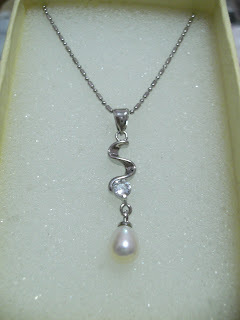 Hahaz!This pearl necklace was given to a few chosen staffs. Not all have them. 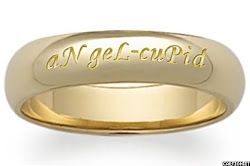 Hehe =) I like mine! Last week I bought a green thing from next door. It's called the Organic. 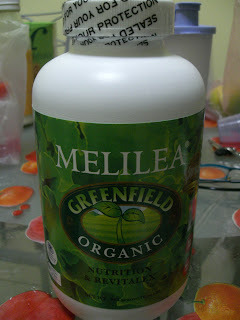 I asked Hellen to help me buy from Melilea. The reason I bought this? People around me had been telling me I need to clean my tummy. Need to detox it (O.o)? Then I heard from my colleagues that this organic thing works. And so, I decided to give it a try. Before I buy, I asked Hellen to let me try a little bit to see if I like the taste of it. Well, it's all organic stuff, so it's just alright for me. This huge bottle cost me RM169 (member price). If non-member, I heard it's more than RM200. Expensive oh!!! Nutrition and revitalex. Haiz. Whatever it is. Eat nia lah! As long it can beautify my skin. Mwahahahaha!!! I had to take this each morning before my breakfast. About 200ml each time. 1st of September was a day to remember for both of us. It's our 6th month anniversary. With the promotion from Rakutei, we both decided to splurge for our memorable day. 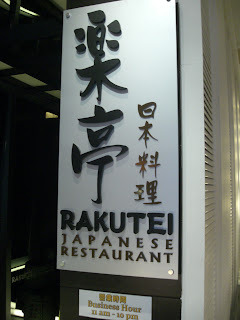 We arrived at Rakutei about 12.40pm. The entrance is what attracts me most. These are the wallpapers by the entrance. Now this, is what I call, attraction! I'm so in love with the cozy environment and the warm welcome of the entrance. Hehe =) Just found this thing cute. We were welcomed by a kitty miao. It says, turn left for ala-carte and right for buffet. So there we go, the buffet side. It's quite dark in there and due to my *ahem* shyness, most of my pictures were taken in the dark =( Too bad lor. Eeek! I just love the Japanese feel. The lights, the seats. The other side of the mirror were those floor seats. This is a huge wallpaper beside our table. It's a picture of the busy street of Japan. Last weekend we went to tryout the newly opened Yak Wang (Imperial Duck). It was the first time for me there but not for him. He ever went there for breakfast with his family once. This is just part of the menu. They serve dim sum as well. But not for dinner. As I heard, they have different menu for different meals. Dim sum is only being served in the morning. The interior. I love the design at the ceiling. =.=''' Why even this also wana photograph? Our drinks. I kinda forgot what we ordered. One is lime juice and the other not sure. This is mine. Imperial Duck Rice. The duck ah. Like not being feed at all. No meat =.=''' I wasn't full ok! Urgh! Although they do look very delicious. Just the look.